70 Years of Disinformation: How the CIA Funded Opinion Magazines in Europe – Apokalyps Nu! During the Cold War, disinformation operations were run by many of the leading players in both the North Atlantic Treaty Organization and in the opposition Warsaw Pact. Sometimes the activity and the sponsorship were clearly visible, as when Radio Free Europe and Radio Moscow would exchange barbs about just how bad daily life was in the opposition alliance. Sometimes, however, it took the form of clandestinely placing stories in the media that were clearly untrue but designed to shift public perceptions of what was taking place in the world. The Vietnam War provided a perfect proxy playing field, with stories emanating from the U.S. government and its supporters presenting a narrative of a fight for democracy against totalitarianism while the Communist bloc promoted a contrary tale of colonial and capitalist oppression of a people striving to be free. The Central Intelligence Agency (CIA) inherited the mantle of covert action operations as a legacy from its OSS predecessor, which had had considerable success in conducting disinformation operations during World War 2. But there was from the start considerable opposition to continuing such programs as they were both expensive and subject to devastating blowback when they were identified and exposed. In Western Europe, powerful domestic communist parties were quick to publicize U.S. intelligence missteps, but nevertheless the ability to manipulate the news and information media to place stories critical of the Soviets and their allies led to major programs that funded magazines and books while also seeking to acquire a cadre of journalists that would produce pieces on demand proved too tempting to ignore. 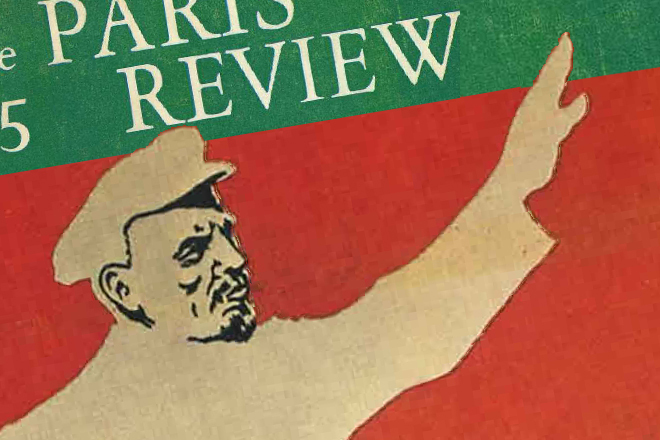 There has been considerable ex post facto examination of the CIA’s use of covert funding mechanisms including the Congress of Cultural Freedom to fund writers and magazines in Europe, the best known of which were The Paris Review and Encounter out of London. As there was a low intensity war going on against communism, a conflict which many patriotic writers supported, funding magazines and finding contributors to write appropriate material was relatively easy and hardly challenged. Some senior editors knew or strongly suspected where their funding was coming from while some did not, but most didn’t ask any questions because then as now patrons of literary magazines were in short supply. Many of the writers were in the dark about the funding, but wrote what they did because of their own personal political convictions. The CIA, seeking value for money, would urge certain editorial lines but was not always very aggressive in doing so as it sought to allow the process to play out without too much interference. Opinion magazines were one thing, but penetrating the newspaper world was quite a different story. It was easy to find a low or mid-level journalist and pay him to write certain pieces, but the pathway to actual publication was and is more complicated than that, going as it does through several editorial levels before appearing in print. A recent book cites the belief that CIA had “an agent at a newspaper in every world capital at least since 1977” who could be directed to post or kill stories. While it is true that U.S. Embassies and intelligence services had considerable ability to place stories in capitals in Latin America and parts of Asia, the record in Europe, where I worked, was somewhat mixed. I knew of only one senior editor of a major European newspaper who was considered to be an Agency resource, and even he could not place fake news as he was answerable both to his editorial board and the conglomerate that owned the paper. He also refused to take a salary from CIA, which meant that his cooperation was voluntary and he could not be directed. CIA did indeed have a considerable number of journalist “assets” in Europe but they were generally stringers or mid-level and had only limited capability to actually shape the news. They frequently wrote for publications that had little or no impact. Indeed, one might reasonably ask whether the support of literary magazines in the fifties and sixties which morphed into more direct operations seeking journalist agents had any significant impact at all in geopolitical terms or on the Cold War itself. More insidious was so-called Operation Mockingbird, which began in the early 1950s and which more-or-less openly obtained the cooperation of major American publications and news outlets to help fight communist “subversion.” The activity was exposed by Seymour Hersh in 1975 and was further described by the Church Commission in 1976, after which point CIA operations to influence opinion in the United States became illegal and the use of American journalists as agents was also generally prohibited. It was also learned that the Agency had been working outside its founding charter to infiltrate student groups and antiwar organizations under Operation Chaos, run by the CIA’s controversial if not completely crazy counterintelligence Czar James Jesus Angleton. As the wheel of government frequently ends up turning full circle, we appear to be back in the age of disinformation, where the national security agencies of the U.S. government, including CIA, are now suspected of peddling stories that are intended to influence opinion in the United States and produce a political response. The Steele Dossier on Donald Trump is a perfect example, a report that surfaced through a deliberate series of actions by then CIA Director John Brennan, and which was filled with unverifiable innuendo intended to destroy the president-elect’s reputation before he took office. It is undeniably a positive development for all Americans who care about good governance that Congress is now intending to investigate the dossier to determine who ordered it, paid for it, and what it was intended to achieve. Featured image is from Salon.